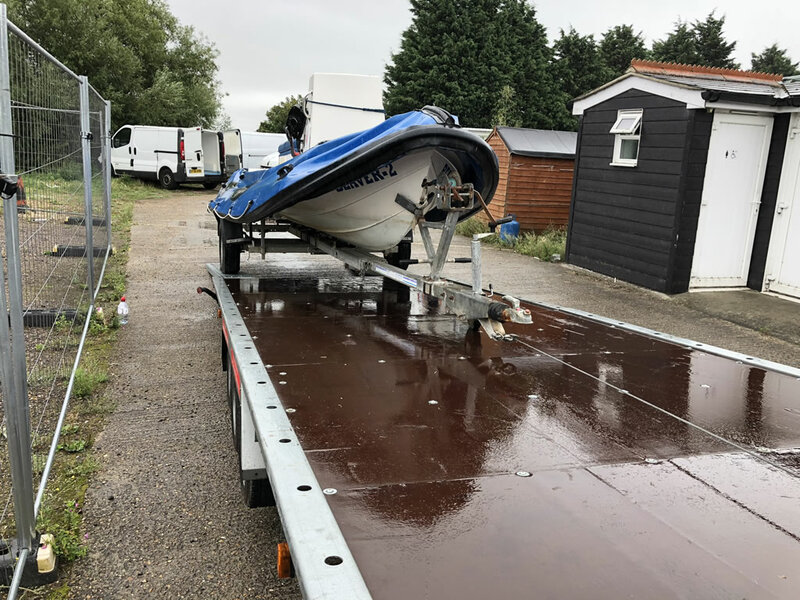 The only way was Essex for the Boatbreakers team this week as we travelled to Burnham on Crouch & Colchester to collect a Rib-Eye Rib for disposal. 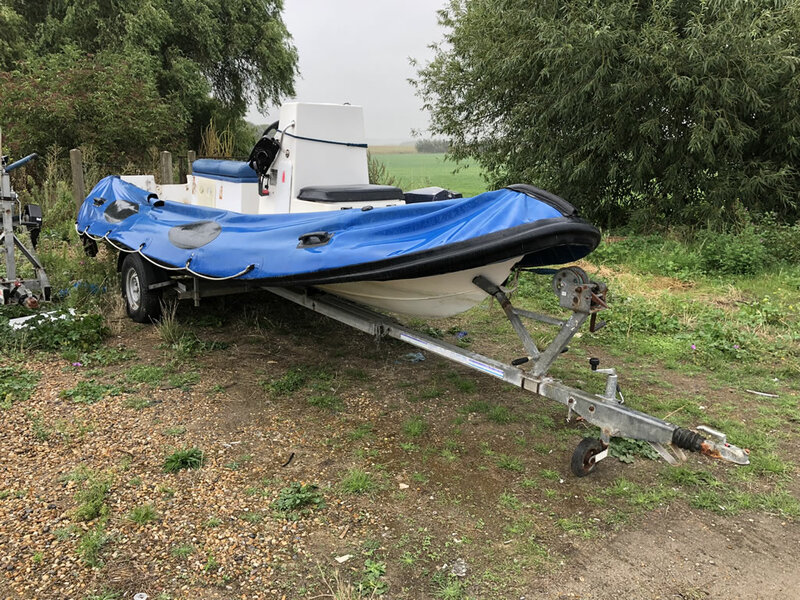 We had a call from an insurance company that a Rib had been badly damaged during a robbery. The tubes had been slashed, the seats and central steering position unscrewed, and the engine had been completely stolen. 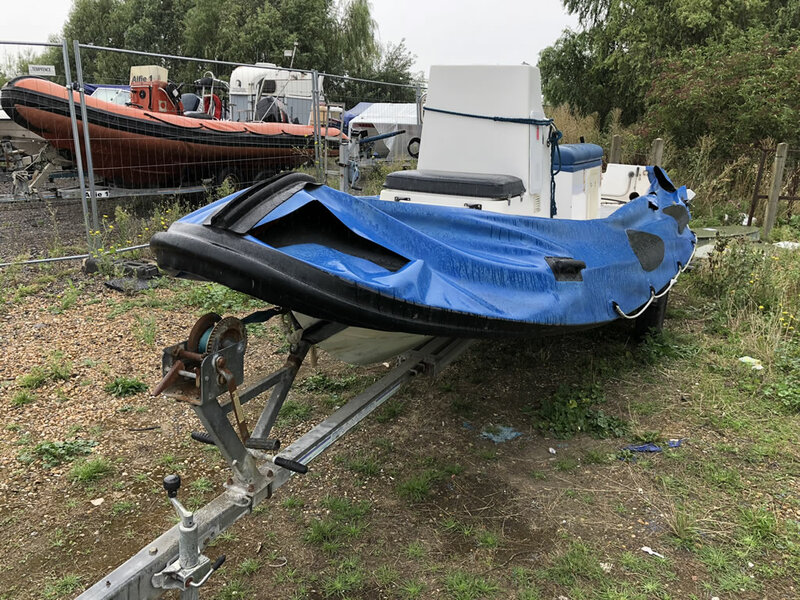 The parts that had been stolen had actually already been recovered by Essex Police when they had found a prolific thief in the area with an “Aladdin’s Cave” full to the brim with stolen boat parts. The thief had already been locked up and the parts could therefore be released to us. It was an early start for the team as they set off at 5:30am as we were aiming to get to Burnham on Crouch before 9am. With one coffee stop and favourable traffic we made it to the Police Station by 8:30 and we went in search of a cooked breakfast. 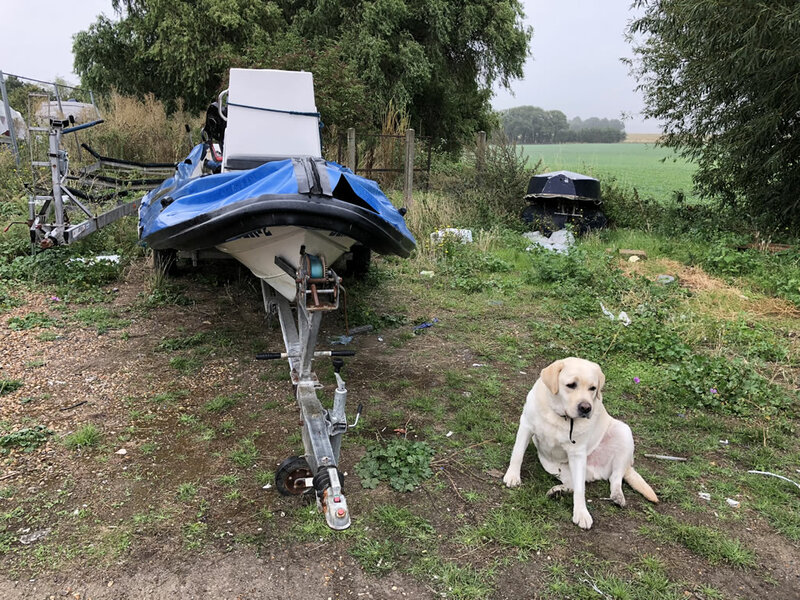 By 9:30 with the help of the Police team we had the outboard engine loaded onto our pick up truck and we were ready to head towards the boat’s location near Colchester. After navigating the long winding country roads of the Essex coast we made it to Mersea Island before the tide could cut off the link road. 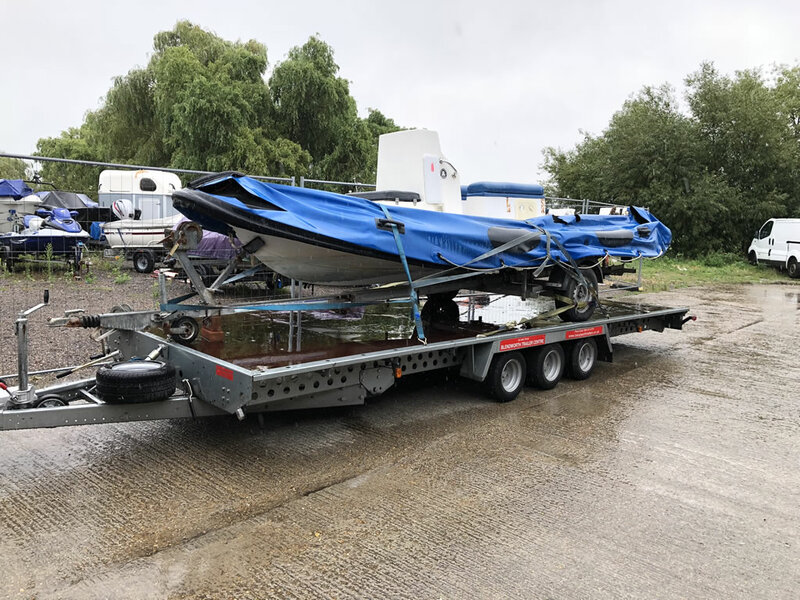 The boat was being stored in a boat repair yard called Service and Repair. It was there that the owner had taken the boat to get a quote to fix the damage caused during the robbery. The team at the yard had already pulled the boat out to an easier location for us to access her. All we had to do was get past the inquisitive yard Labrador who set upon us to kiss any part of our body that got too close. We set up our flatbed trailer with the ramp sections out and the winch cable extended. Within minutes we had the boat around and winched up onto the flatbed ready to be secured for the long journey home. Before we headed south there was time for a quick cup of tea with the staff at the service yard. Once again the traffic was kind to us and we made it back to base in Portsmouth with the boat/engine still in one piece. We’ll now assess which parts we can remove and hopefully get the engine running again before we offer them for sale.